Worth the effort figuring it out. Love it and it is really helping me stay in budget. Be sure and go through the videos first. Wish they had more training tools though. 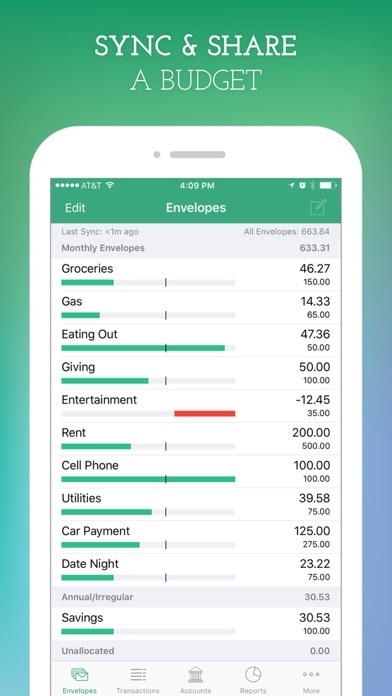 The best envelope budgeting app...worth every penny!! Improvements 1) Make “add Income” an option in translations. 2) iPad app!!!!! 3) better implementation of “credit” than making it a negative. 4) redesign in future? Layout is getting stale. 5) PDF reports. 6) emails to coach based on users data. Amazing for a free app! I installed this because I was spending way too careless and I figured they would push their paid version and limit any of the useful features. 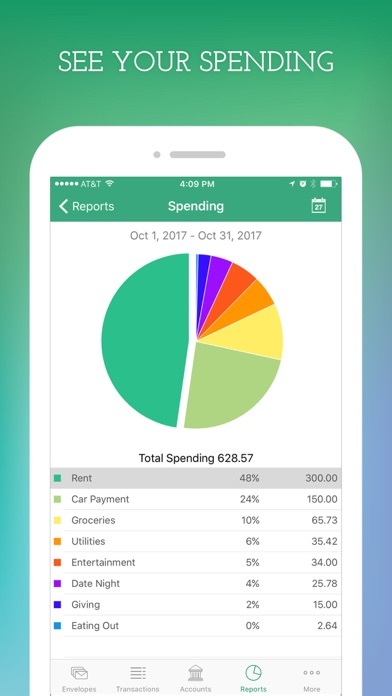 This is not the case the app is completely usable and very helpful in terms of budgeting expenses, segmenting spending, and monitoring where all your money goes. It’s also good in the sense that it forces you enter every expense you have, making you think twice about spending that money. Love the app. 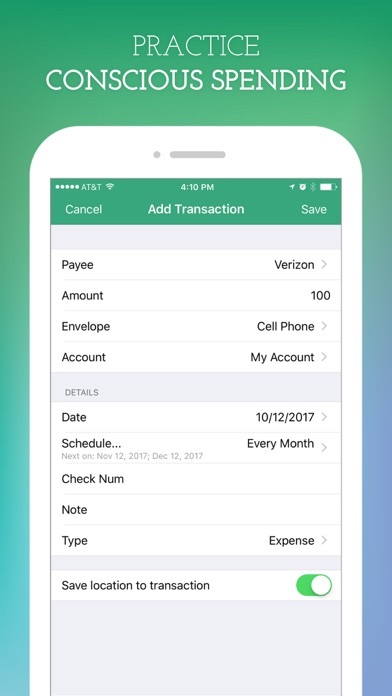 What is the difference or what does this provide that the mint app does not? 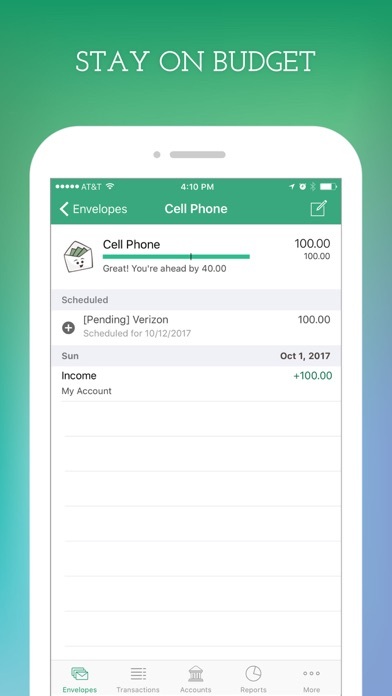 I enjoyed this app at first until I realized that you only get 10 free envelopes for your expenses. Any after that you have to pay for a membership. I wish I only had 10 monthly bills!! I’d be living! Ridiculous scheme. 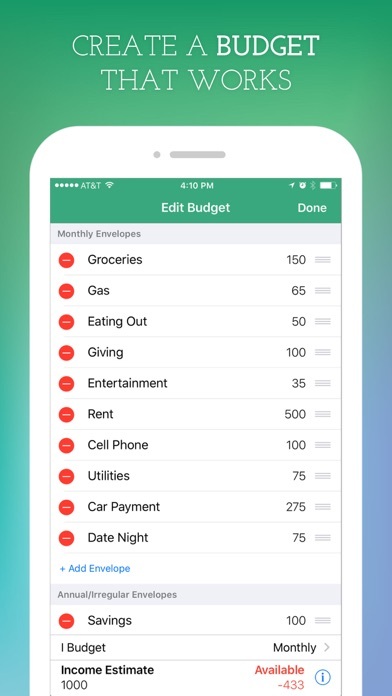 The envelope system really works for me, so Goodbudget is exactly what I was looking for. It’s easy to set up, easy to use, and easy to view. I personally prefer the manual input...it helps me think more about what I’m spending. We’ve been married for over 25 years. We’re financially comfortable, so a budget always seemed like just “a good idea” but never a priority. Now with a daughter in college abroad, we’re trying to better analyze our spending to help avoid overuse of student loans. This has been wonderful! And the KEY to making it work has been NOT to micro-manage the money. (It’s what we did wrong every other time) Making my own categories means I can have one place for “monthly fixed expenses” that includes everything from recurring political and charitable donations to our mortgage. I’m now budgeting in only about ten categories and it’s perfect. The app’s haptic control to quickly add a transaction is great. The status bars are an easy way to judge discretionary spending. The splits are simple and easy to use. I did have to fiddle with the envelope fills the very first time, but it was quickly remedied. Now, if I could just merge it with something like Mint so all my digital transactions (we very rarely use cash) came to an Inbox for distribution/matching it would be even easier to use and 100% perfect. I love this app though, and it’s already saved us quite a bit of money just by letting us know where we stand. A tip: set alerts on all your digital accounts (credit cards, debit, etc.) to text you for every transaction. This makes it easy to assure everything except cash is reflected timely in your GoodBudget records. Love this app!